Families spend time together, and children learn through everyday activities. Parents try to facilitate learning without “teaching,” to help children ask questions that develop thinking, to develop consideration for others without shaming or training, to give choices while guiding the children, to listen to instinctual cues, to honor emotions and desires, to allow development to take place in its own time, and to engender cooperation and harmony without manipulation. This might include the decision to pursue uncommon methods of education, such as alternative classrooms, home schooling, or unschooling. 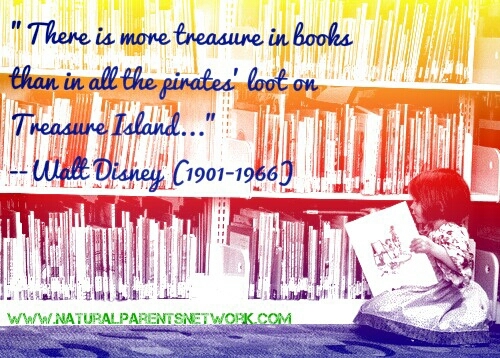 To learn more about natural learning, take a look at the resources below. If you have specific questions about this category or know of additional resources that should be on our list, please contact us. “How to Make Your Home a Natural Learning Environment” by Suzannah Windsor Freeman for Zen Family Habits, a blog about simple happiness: Five steps with suggestions and examples to help children learn from their surroundings at home in a self-directed manner. Natural Child Project: Articles, books, art, counseling, and other resources fostering the importance of treating children with compassion and respect so that they feel secure and loved. Power of the Ordinary: Everyday Times—Ordinary Moments Become Extraordinary Learning Opportunities: Photos of everyday activities annotated with examples that parents can use to engage their children. Smart Moves: Why Learning Is Not All in Your Head by Carla Hannaford: An examination of the body’s role in learning that promotes alternatives to traditional educational methods. Spark: The Revolutionary New Science of Exercise and the Brain by John J. Ratey: An investigative look at the impact of exercise on the brain. What Einstein, Twain and 48 Other Creative People Had To Say About Schooling, by Psychology Today: If you’re being needled by people concerned about your child’s schooling or lack thereof, point them in the direction of this compilation of quotes by famous, successful, intelligent figures who had less than flattering things to say about their own traditional school experiences. US Charter Schools: “Innovative public schools providing choices for families and greater accountability for results.” This site offers information about the charter school movement and how to find or start a charter school in your area. They state that the three most common reasons for starting a charter school are to realize an educational vision, gain autonomy, or serve a special population. Eclectic Homeschool Online: The Magazine for Creative Home schoolers…Published from a Christian Perspective: Although many of the resources are tailored for the Christian home schooler, there are thousands of free resources that might be beneficial to non-Christian home schoolers. Check out the EHO Lite if you are new or just getting started with homeschooling. Our Jewish Homeschool Blog: This mother of 5 recounts her adventures in homeschooling. Check out her Weekly Routine for Jewish Studies and other printable charts and also her list of links to Jewish curriculum resources. Homeschool Stockroom: Large selection of curriculum for secular and Christian that can be customized to meet individual requirements. Muslim Homeschooling Resources: Home school support materials including Islam lesson plans, links to Muslim home school websites, blogs, and forums. Secular Homeschool: This site includes a forum and groups for connecting with other home schoolers and links to curriculum, articles, and many other resources. I Can Teach My Child: This website offers support for parents, empowering them to realize their potential as their children’s first teacher, by equipping them with learning activities and resources. Note: This site is Christian non-secular. Creekside Learning: This blog chronicles one mom’s homeschool adventures and provides information on curriculum and ideas she has found successful. “Education: Class Dismissed”: Psychology Today article by Hara Estroff Marano that explores the Sudbury model of education. 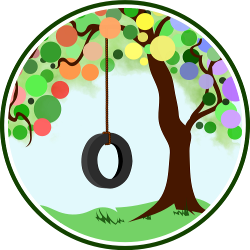 Joyfully Rejoycing: A site about unschooling and parenting peacefully. Life Learning Magazine: Personalized, non-coercive, active, interest-led learning from life: An online magazine devoted to unschooling. Radical Unschooling Network: A forum for unschooling families and those who would like more information. Waldorf Answers: This website explores the Waldorf philosophy of education founded by Rudolf Steiner. Check out their extensive list of resources and links to further information on Waldorf education both in the classroom and at home. • “Education: Class Dismissed”: Psychology Today article by Hara Estroff Marano that explores the Sudbury model of education. • Joyfully Rejoycing: A site about unschooling and parenting peacefully. • Radical Unschooling Network: A forum for unschooling families and those who would like more information. • Unschooling.com: A site about unschooling.